– EEST 1 – 2 MOD FQA – 3°B – PROVISIONAL – TM – 09.30. – EEE 501 – TP/TES – SUPLENTE – TM – 08.30. – JI 901 – FO – PROVISIONAL – TA – 08.30. 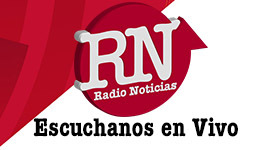 – CENS 453 – PR – SUPLENTE – TN – 12.00. – EES 3 – 2 MOD IGS – 1°2° – PROVISIONAL – TT – 09.30. – EES 3 – 2 MOD IGS – 1°3° – PROVISIONAL – TT – 09.30. – EES 3 – 2 MOD LIT – 5°1° – SUPLENTE – TM – 09.30.